Mike Reed: Jazz Timekeeper, Rock Tastemaker Chicago-based jazz drummer, bandleader and concert presenter Mike Reed knows how to shape an aesthetic. He's the force behind the Pitchfork Music Festival, but also a musician with a keen eye for source material. Here, he tackles Max Roach's "Garvey's Ghost." You have to hand it to Chicago-based jazz drummer, bandleader and concert presenter Mike Reed: The guy knows how to shape an aesthetic. As the force behind the Pitchfork Music Festival, he's created an annual Mecca for the discerning rock geek, a bargain-priced event with an uncommonly focused vision. Although he's said that his Pitchfork post and his jazz gig don't intertwine all that much, his own music exhibits similar taste-making deliberation. Earlier this fall, Reed released two terrific jazz recordings simultaneously: Proliferation, with a group he calls People, Places & Things; and The Speed of Change, with a quintet he's dubbed Loose Assembly. Proliferation, a tribute to the unsung bop-rooted music of 1950s Chicago, works toward a jazz ideal that could be described as the calm before the avant-garde's storm: perfectly situated between tradition and innovation, brimming with blues and bop, swinging and unafraid of spiny group improvisation, dissonance or rough-and-tumble intonation. It's an innately human-sounding strain of jazz that should appeal to fans of early Ornette Coleman and Sun Ra. The Speed of Change better represents Chicago's historic avant-garde scene, with its slightly exotic instrumentation (vibes, cello and, on one track, flute), sense of patience, lack of composed themes, emphasis on ensemble texture and post-rock temperament. 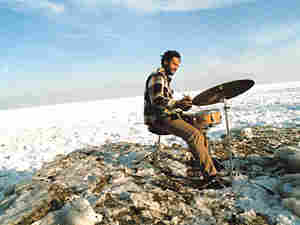 The second track on The Speed of Change, a reasonably faithful rendition of "Garvey's Ghost" by Reed's hero Max Roach, is one of the album's most concrete pieces of music. In place of Abbey Lincoln, who sang the ominous vocal line in Roach's original, is Chicago mainstay Nicole Mitchell; in place of choruses by trumpeter Booker Little and tenor saxophonist Clifford Jordan, Loose Assembly offers lengthy extrapolations by cellist Tomeka Reid and alto saxophonist Greg Ward. And instead of Roach and Afro-Cuban percussionist Carlos Eugenio's rhythmic persistence, there's a more malleable approach to timekeeping from Reed. The group's performance is impressive — like the source material, it communicates a stark political edge without words — but the choice in repertory is impeccable. "Garvey's Ghost," from Roach's 1961 album Percussion Bitter Sweet, is the kind of underused gem that's neither standard nor overtly obscure — a dead-on pick by a genuine musical bon vivant.